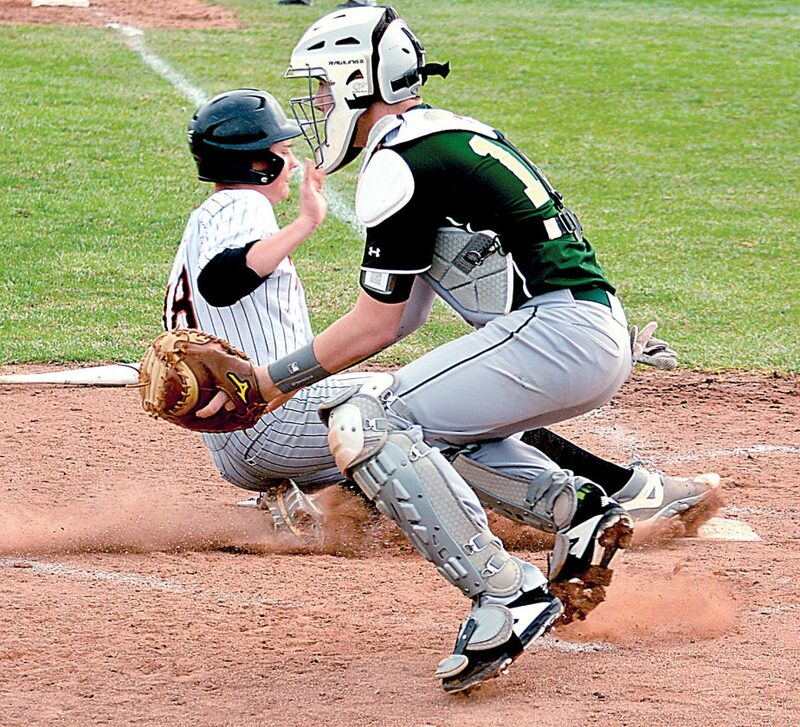 The Inter-Mountain photos by Dave Ickes Elkins High School’s Joey Satterfield slides into home as a pinch runner against Braxton County Saturday. 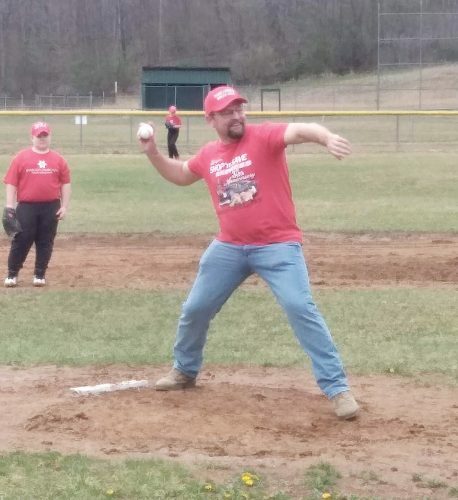 ELKINS — An eight-run fifth inning coupled with a strong pitching performance from Jeremy Cogar powered Elkins to a 10-0 win over Braxton County Saturday in non-conference action at Elkins High School/Post 29 Field. The Tigers, who improved to 12-5 with the win, crossed single runs in the first and third innings before erupting in the fifth. 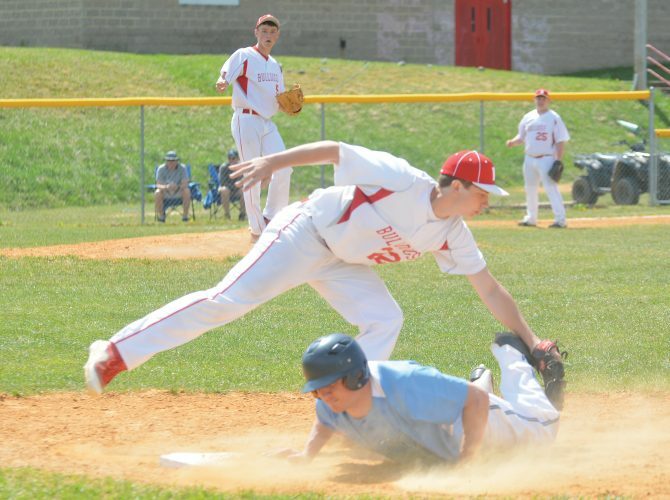 Elkins first scored came when Reid Schumacher led off with a walk and later scored on a Matthew Gainer sacrifice fly. In the third, Nathan Cooper singled and scored on a Tyler Davis base hit. The fifth-inning barrage featured a walk and three Tiger batters being hit by a pitch. Cole Crumm had a two-run single in the set, while Remington Stanley and Dustyn Primavero had run-producing singles. Schumacher also hit a deep drive to the fence in center that was mishandled and allowed a pair of runs to score. Cooper and Crum finished with two hits each to lead Elkins at the dish. Cogar allowed no runs on four hits in collecting the win for the Tigers. He struck out one batter and walked one intentionally. Ross Knight took the loss for Braxton County (8-8) in two innings of work. Kolton Kniceley had two of the visitors’ four hits in the contest. Elkins will return to action today when it entertains Bridgeport for a Big 10 Conference contest at 5 p.m.